Consisting of daisies, stock, spray roses, alstroemeria, filler & greens. Available in a cascade or round shape. 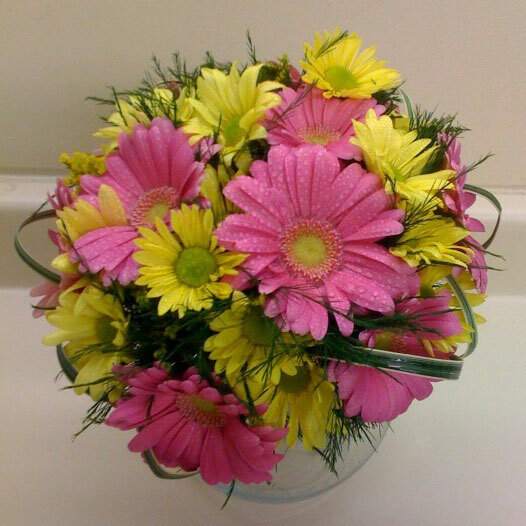 Round, with daisies, stock, alstroemeria, and fillers. Rose for the Groom and daisies with greens for the others.